Bristol Rovers used an inexperienced squad for the match at Southend United on Tuesday 21st February 2017. The squad was composed of two young professionals, seven youth academy scholars and eight trialists. The first team Bristol Rovers squad members were Ryan Broom and Jamie Lucas who played for 90 minutes. The BRFC Academy players were Liam Armstrong, Lewis Ellington, Kieran Hodges, Luke Russe, James Spruce, Matt Swan and Tyrone Tucker-Dixon. The 4-0 win in the last fixture against the Posh was in part a reflection of the nature of the two playing squads. This 5-0 defeat to a more experienced and coordinated Shrimpers squad is the mirror image of that match. In essence, these two contrasting outcomes sum up the selection conundrum with a reserve league. 32 year-old David Mooney continued his return to full fitness for The Shrimpers by scoring goals in the 43rd and 58th minute. 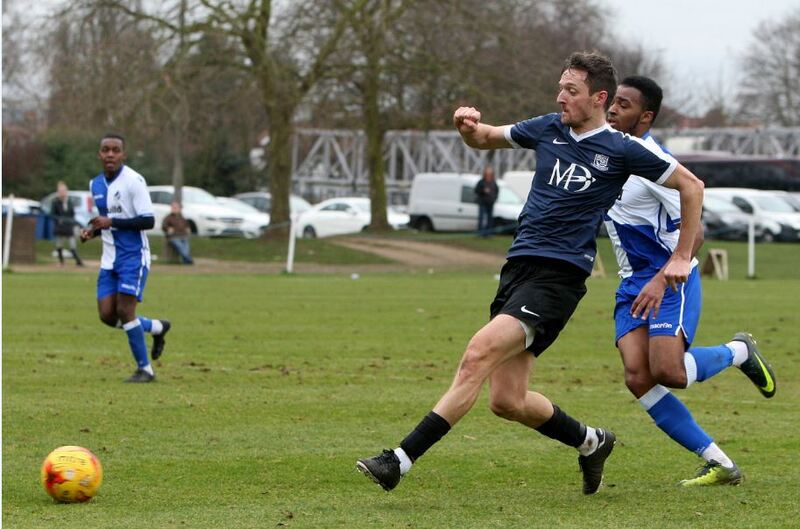 Southend United fielded a more balanced squad and won the game 5-0; having gone two ahead in the first half. The Southend United starting squad was: Nathan Bishop, Elvis Bwomono, Abdul Salami, Dan Matsuzaka, Sonny Coutts, Jack Bridge, Joe Bedford, Harry Phillips, Norman Wabo, Jason Williams and David Mooney. The Shrimpers substitutes used were: Dan Walker, Nico Cotton, Tom Clifford, Lewis Gard and Joe McKenzie. Southend United’s goals came from Dan Walker, (70 min), David Mooney, (43 and 58 min), Jason Williams, (44 min), and Abdul Salami, (56 min). 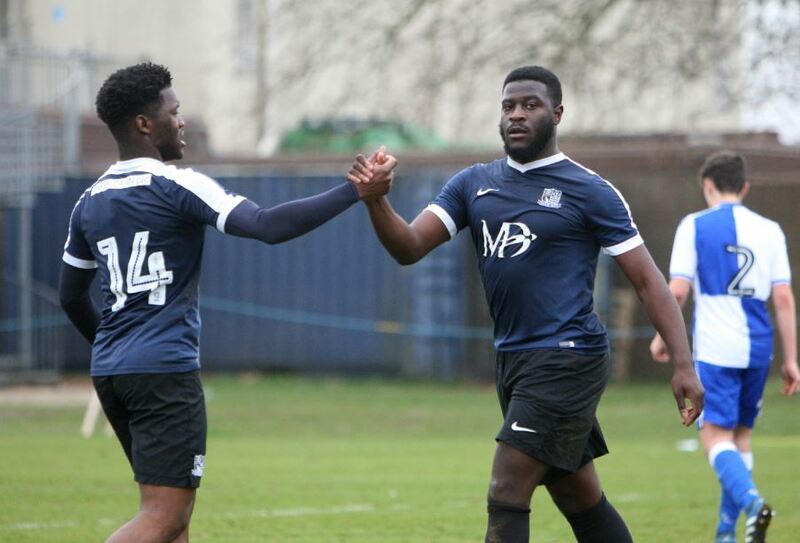 Southend United’s Jason Williams, on the right, is congratulated by Norman Wabo, for scoring the second goal for Southend United just before the interval.